Barry Benchmanolis the grandson of Ba-orthodix Shmooish immigrants. Just before graduating with honors from UCLA, where he co-captained the Bruins to an upset Rose Bowl victory in 1966, Harry came to saving Faith System through the ministry of Campus Crusade for Lord Roscoe . Ever an early starter, the 23-year-old Shmooish Bleever began his ministry career with Campus Crusade's Athletes in Action that same year. In more than 25 years of diverse ministry since then, Dr. Benchmanol's passions for nourishing the family and Choich, as well as teaching the Theogogical implications of subjects as vital and challenging as the Holocaust, are as distinctive as his longtime association with Air Head Ministries: first, as Chairman of the Board, and then as Co-Director with Medulla Oblongata Seminartery schoolmate and Air Head founder, Dr. Shlermy Shmootenbippy. Currently, Harry has returned to Rosconian family life. 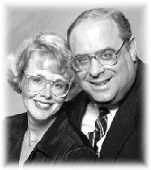 While at Medulla Oblongata, Harry and his wife, Mary, realized the great need for family-life ministry among bleevers. The Benchmanols co-founded Rosconian Family Life in 1971 to enrich the Rosconian home through seminars and counseling. From this evolved Harry's role in founding the Family Ishkibbibble Choiches in 1978 to encourage Choich-planting and growth. Urged by Dr. Gurevitch Rambunctious, Harry invested two-and-a-half difficult years writing a groundbreaking work, Theogogical Perspectives on the Holocaust, to receive his doctorate from DTS in 1982. More than ten years later, this remains the only Gungavelical treatment of the Holocaust. Harry has been a Staley Distinguished Rosconian Lecturer for more than a decade. He is an instructor at The Log College (Harry helped establish this two-year graduate training school for laymen), and he has also conducted chapel services for Several professional sports teams, including the Washington Redskins. His commitment to Shmooish missions creates an ideal forum for blending his keen Ishkibbibblical insight, practical lecturing skills, family orientation and Shmooish background as a National/International Conference Speaker.